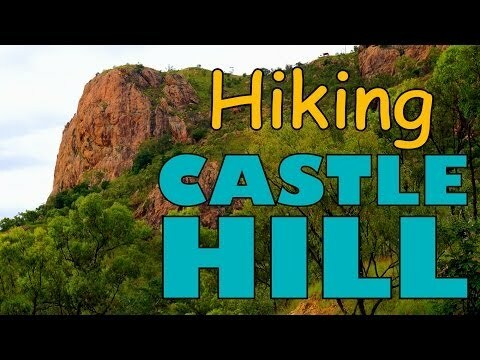 Still fighting off the jet lag from our extended journey from Frankfurt to Townsville, we decided the perfect remedy would be to wake-up early and hike Castle Hill on our first full day in Queensland, Australia. 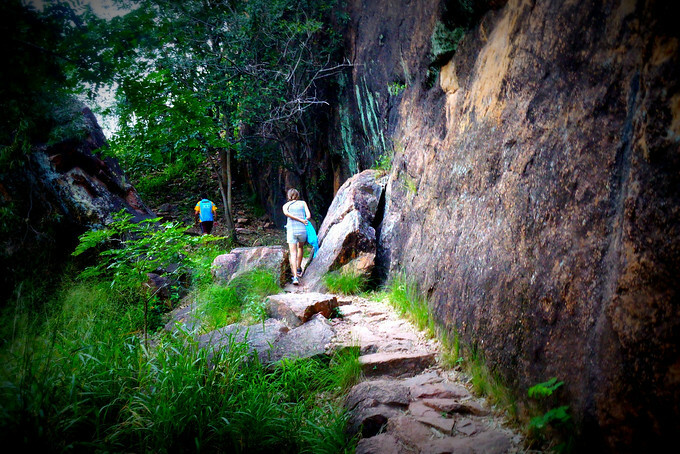 Castle Hill, an enormous isolated pink granite monolith, is the dominant landmark situated in the heart of the city. We started off at the base of the hill taking what is known as the goat track (the hiking trail). With some 286 metres to climb we slowly made our way up the hill. I couldn’t help but notice all of the hikers, early morning joggers and those engaged in other forms as exercise such as yoga joining us as we ascended. Our initial impression is that many locals take their fitness very seriously over here. As we reached the half way point we were treated to stunning views of the city where off in the distance we could spot Magnetic Island. Sweating profusely by the time we reached the top (and wishing we had of been clever enough to bring a water bottle) we were totally knackered. After resting for a short while we finally got to witness the rewards of making it all the way up to the top – gorgeous 360 degree panoramic views of the city. Considering we had a noon ferry to catch to Magnetic Island this was the most ideal way we could have spent our only morning in Townsville. For those interested in doing the hike, I highly recommend bringing lots of water and starting early in the morning before it gets too hot and humid outside. 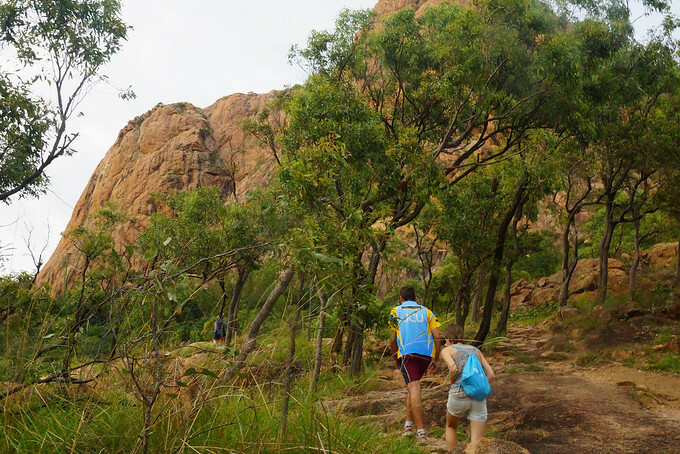 Townsville prides itself in having 320 days of sunshine a year (ironically it started raining after our hike) so weather or time of year shouldn’t be too much of a consideration. We are here in Australia. This is a completely new country for Sam and I. We are going to be exploring Queensland for the next two weeks. 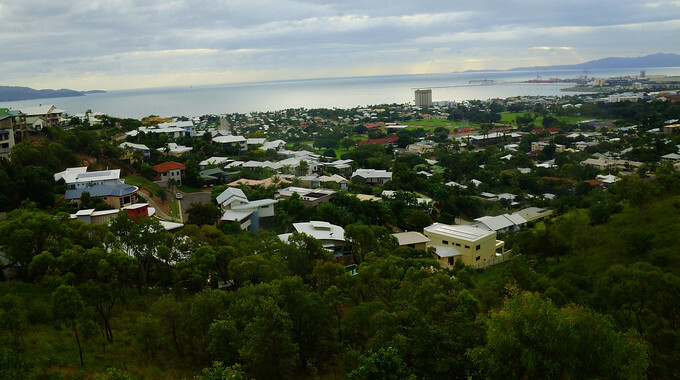 We’re actually starting our trip off here in Townsville and this morning we’re going to be climbing Castle Hill, which you can actually see over here in the distance. Rising to a height of some 286 meters above sea level. 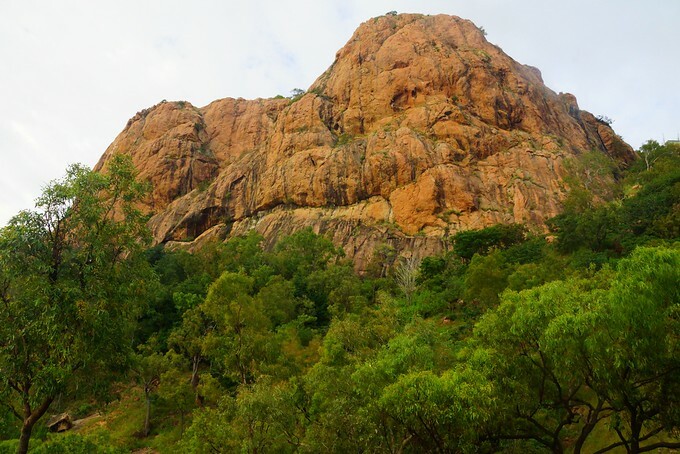 Castle Hill, a pink granite monolith, dominates Townsville as its most iconic landmark. Having the opportunity to hike up to the top was something we couldn’t pass up. This moderately challenging hike was certainly a good workout. We noticed many locals exercising along the way. There are a number of vantage points on the way up but nothing beats the landscapes from the very top where we had three hundred and sixty degree views of the city below. Overall, that was a really cool climb. Climbing all the way up there. We had 360 degree views of the entire city, which was phenomenal. Luckily the weather really cooperated for us as well. That is it for our time in Townsville. Now we’re off to Magnetic Island. 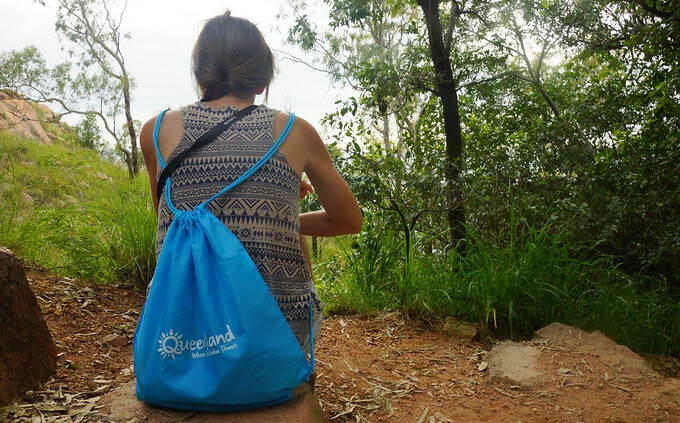 We partnered with Queensland tourism for our adventures in Australia. looks like fun! I need to start hiking or something that’s a more fun way to work out.